Over 2000 Birthday celebrations made possible thanks to the volunteers and donors of The Happy Birthday Project! Celebrations bring people together, promote well-being, give a sense of tradition and help us to remember the things in life that truly matter. Birthday celebrations allow us to acknowledge those in our lives who are important to us and celebrate the gift of their lives. We believe every child deserves to feel special and celebrated on their birthday. Our mission is to bring joy to the lives of children and families facing adverse circumstances through the celebration of birthdays, holidays, and other special life events. 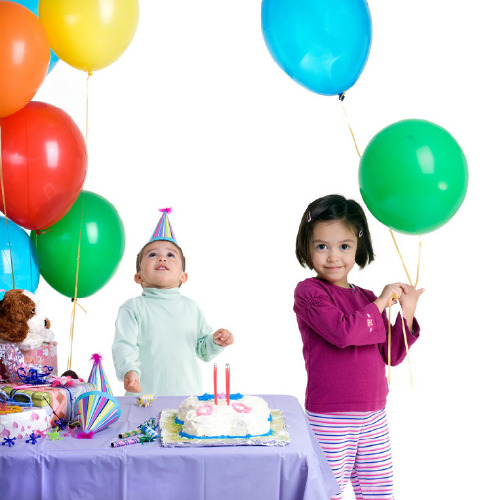 We deliver birthday party packs that include all the decorations and supplies required to throw a birthday party as well as a new gift for the birthday child. Thank you for visiting our website! Have a look around to learn how you can help us bring big smiles to deserving kids on their birthdays. Visit our Facebook page for more information on our current needs and volunteer positions. Follow us on Twitter to stay on top of our tweets. Follow us on Pinterest for all things birthday party. Find us on Instagram for fun projects & news!